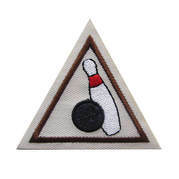 Bowling Patch provided to all Girl Scouts at check-in. 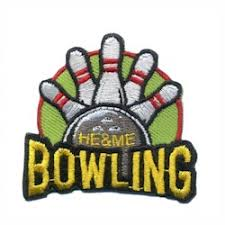 Wayzata Girl Scouts and a special male guest are invited to attend our "He & Me Bowling" event. The correct way to handle a bowling ball. Basic safety and etiquette rules. About strikes/spares and how to keep score. After bowling, the girls will take a short tour of the bowling alley. 1. Fill out the REGISTRATION FORM ; be sure to click "SUBMIT" at the bottom (you will immediately receive a confirmation). 2. Select a time/lane on the signupgenius (link found on website), making sure not to leave a "single" seat (we pay a set charge for each lane; groups of 3 will need to sit together). 4. Make other arrangements with the SUM (Checks are accepted; however, need to be delivered to the SUM by registration deadline). 5. Show up and have Fun! ​ No refunds after 10/1.